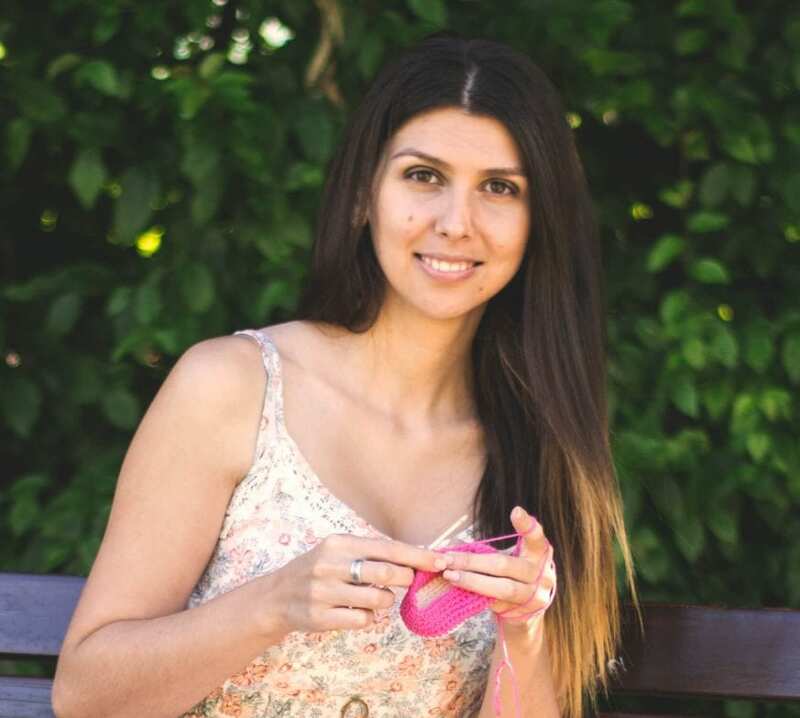 Half double crochet, also called half triple crochet in UK terminology, is a stitch that I personally use the most. It’s a little bit taller than single crochet stitch but creates nice and dense fabric. I am using it for baby soles and cardigans. 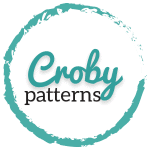 Half double crochet is very similar to double crochet, but it ends one loop earlier than double crochet. 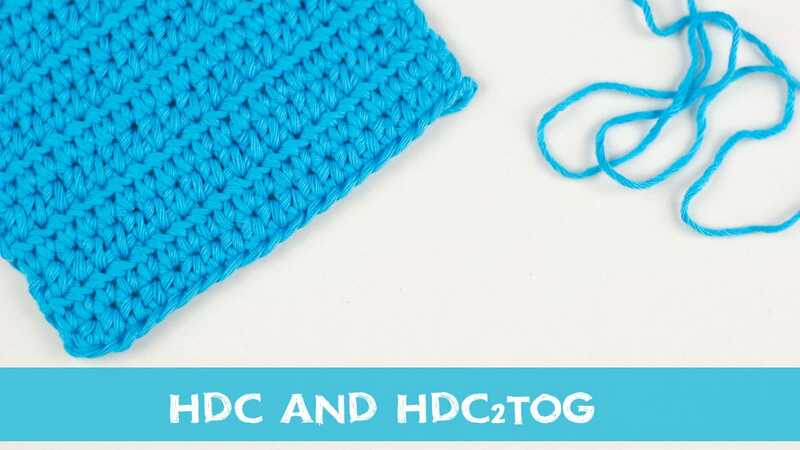 Learn how to make a half double crochet, half double crochet two together stitch and how to start a row or round of half double crochet stitches by clicking a video below.